Once again I am a bit behind on posts, but better late than never! I love black and red! 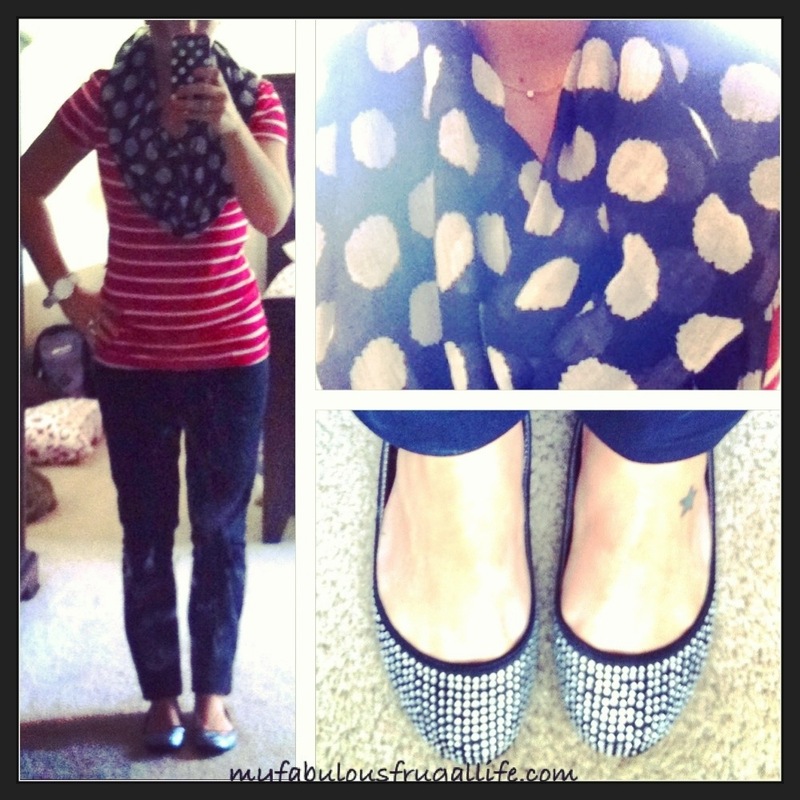 I am not so sure about mixing prints – polka dots and stripes, but I think this worked pretty well. My husband and two-year old said I looked nice, so that is all that mattered! Plus, my eighth grade students didn’t say anything about my outfit, so it couldn’t have been too bad, they aren’t shy about sharing their unsolicited opinions! Red and white striped t-shirt $5.99 from Ross. I have the same shirt in black and white stripes, last seen here. These are great t-shirts at an awesome price, the brand is Zenana Outfitters. I like how these shirts are fitted yet a little long, not too long though! Black skinny jeans from Forever 21, bought years ago, last seen here. I think it is almost time to retire these jeans, they are fading and getting a bit stretched out. I may try to get crafty and turn them into shorts, if I do, I will let you know how that turns out! 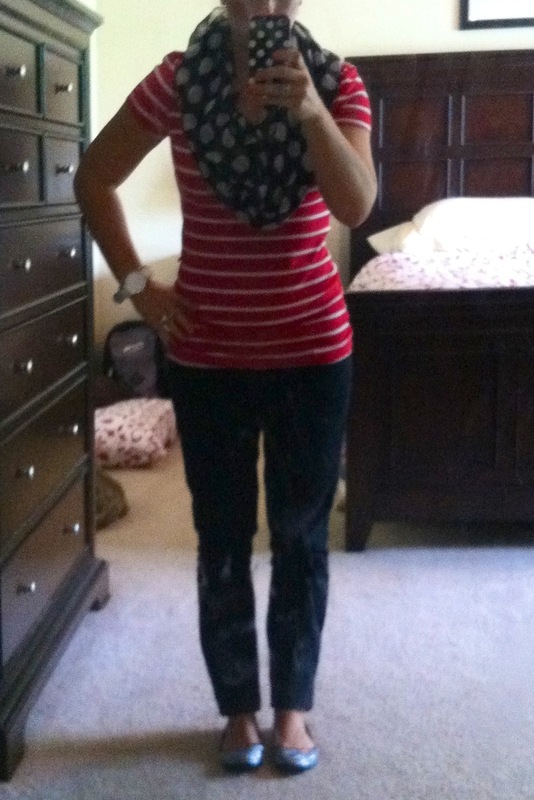 Black and white polka dot lightweight scarf $7.48 Target clearance, bought this week. 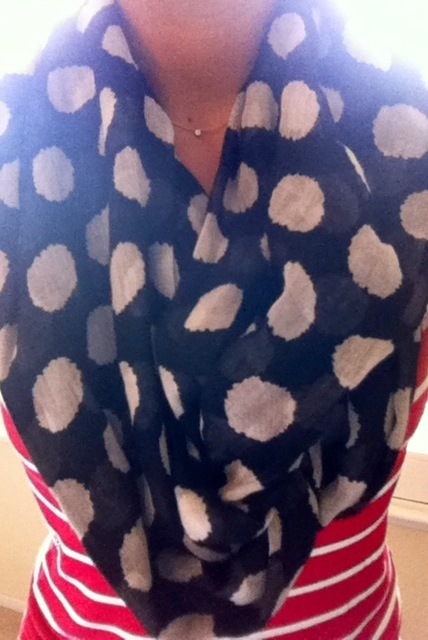 I love polka dots and scarves! I couldn’t pass this up when I saw it! I used the $10 Target gift card I won from the Catch App, more details here, to pay for the scarf, so it was really free! 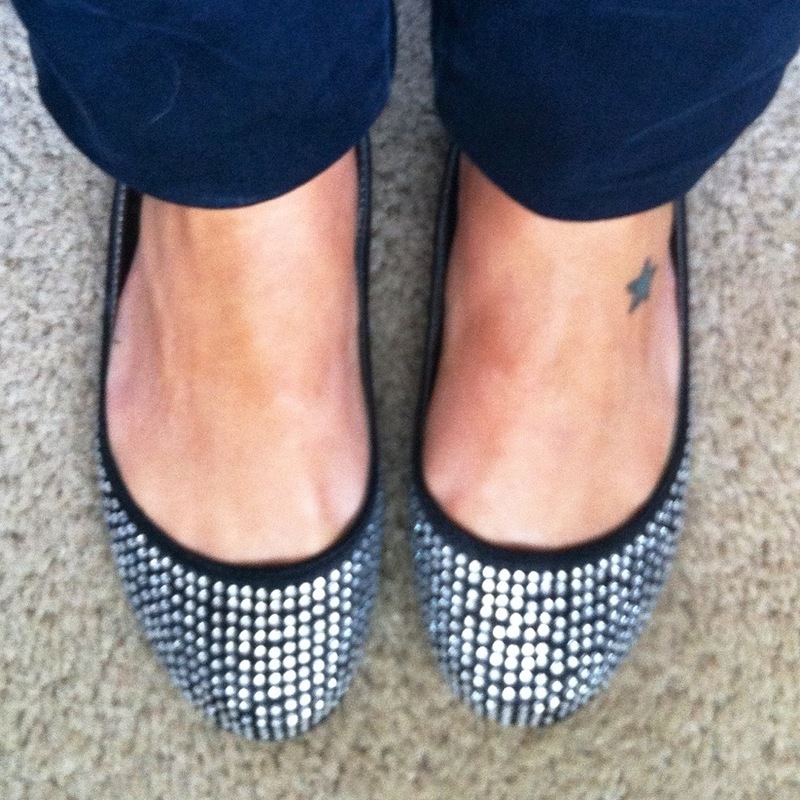 Rhinestone ballet flats from Target, bought last year, last seen here. I think these are the most adorable shoes, who doesn’t love shiny, sparkly things!? !